Croatian Migration ContinuesHello Folks, Apologies for not keeping you up to date on the migration. It has literally been non-stop since they landed on Wednesday night. Trying to describe all that is going on and happening is also extremely difficult! So much physically going on, but also the emotional connections and the spiritual awakening happening around us is heart warming. The loving them till they ask why is happening all over the place and we are having the awesome opportunity to share Him! Wow what a busy time since our return home from our Spring MLO in March. Been busy packing for Iceland, Turkey and Nigeria as well as collecting from several high schools, church and little leagues across Houston. The equipment continues to go out across the world and God continues to replenish it every time! Blessed to witness this every time something is requested and shipped out, someone calls and asks us to come pick up more gear. Well this is the 5th and final blog for this year's Spring MLO since we all have now returned home safely. The final few days were a blur with much going on: closing down all the activities, as well as making preparations for the Summer MLO which is right around the corner. I will actually be returning to Croatia in 7 weeks (May 8th) for some mini-camps in different locations, but the rest of the HiS PRINT team will be coming the last week of June and the first week of July. Sisak Storks One of the highlights during these final days was to watch our young Sisak Storks play in a Little League tournament right there in Sisak. 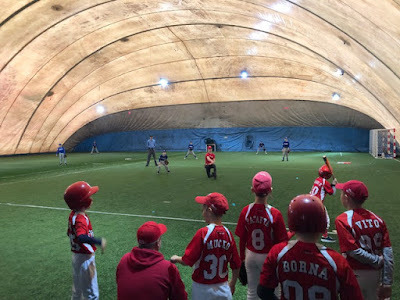 The Croatian Little League has an indoor baseball league during the winter and the city of Sisak has a sports bubble with turf where this tournament was played. 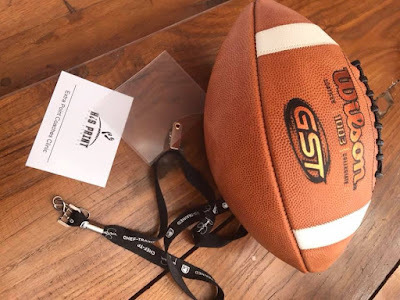 It happened to be on the Saturday of our football coaches clinic, so I didn’t get to sit and watch, but because it was very close to where we were I was able to stop by several times. Go Storks! 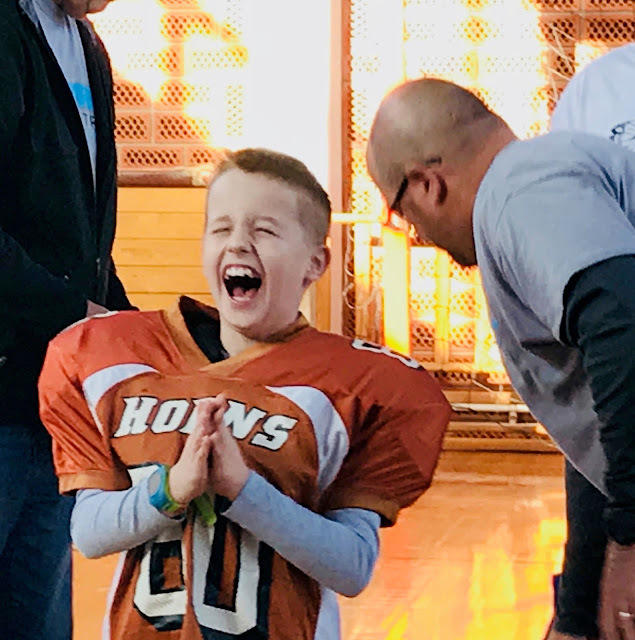 I used the word Wow to describe the several days of our mission leading up to this weekend and that was indeed an accurate word to use, but where to you go from there, when the last few days and opportunities have exceeded that? WOW!!!! We will go with that! WOW! These last several days have been a whirlwind and a blur! So many great things happened and so many God moments, I couldn’t even remember them all if I had taken the time to write them down the moment they occurred. From the most revealing and honest conversation in a government office, to the wonderful and awesomely received business seminar, and not forgetting to mention the blessed time with the 50+ 3rd and 4th graders out in the country near one of the poorest and war ravaged areas in the country. The war ended in 1996 and there are still active mine fields, some of which were in this area! I could go on and on and explain my thoughts and express my gratitude, but instead, I’ll let the pictures do that, and will also share a note one the Business Workshop participants sent to one of our presenters. Sunday we had a lovely day of worship. 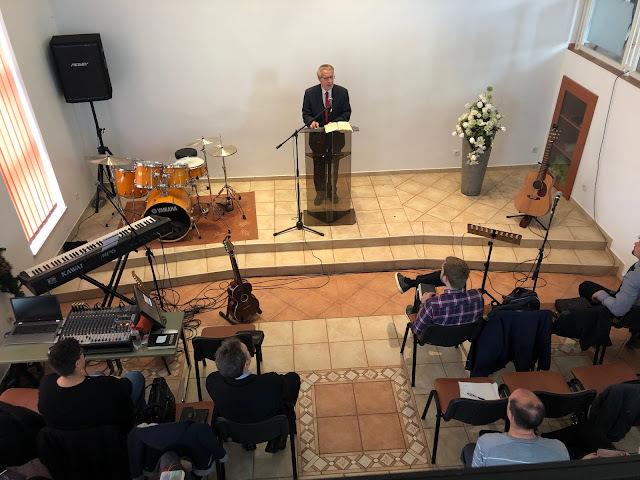 After having a wonderful time of devotions around the table at HiS House, we joined our brothers and sisters at church in Moscenisa. Vukasin, our dear and wonderful friend from Serbia, made it to HiS House in time to go with us to church and he chose to attend with us. He said this would be a first and it was a blessing to have him with us! The message was from 1 Thessalonians 5:1-11, on the second coming of Christ and the importance of sharing that truth. We are to wait patiently, be alert and share. Not to sit with our arms crossed and doing nothing.